Here’s what you need to know about San Marino before you travel there. See which 10 countries saw the largest percentage of arrival growth by international tourists between 2016 and 2017, according to new numbers from the United Nations World Tourism Organization (UNWTO). 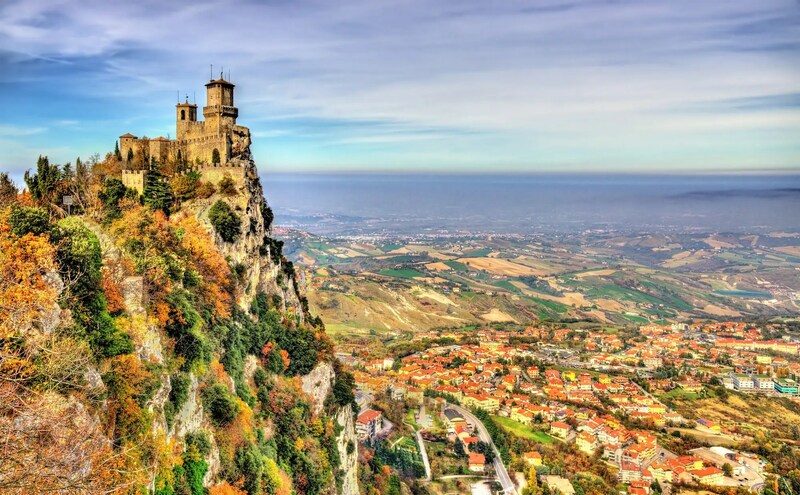 Only 23 square miles with a population of just 30,000, the little-known nation of San Marino, surrounded by Italy, is the world’s fifth smallest country. Dominated by the UNESCO World Heritage Site of Mount Titano and its three medieval fortresses, the country is said to be the oldest republic in the world. Next time you’re in Europe, this small country definitely deserves a visit. Europe is full of incredibly beautiful destinations—like this underwater restaurant and these breathtaking romantic cities. But with so many picturesque locations to visit, unfortunately, some hidden beauties can be overlooked. Ever heard of San Marino? If not, let us introduce you to the seriously underrated and least-visited country in Europe. If you’re visiting from Italy, there’s a cable car that will lift you up to Mount Titano, which is where San Marino is situated. Yes, this small country is located on a mountain. Views of Italy are astonishing. Although you may not have heard of most of them, these 10 tiny beautiful countries deserve a top place on your travel bucket list. The tiniest countries in the world are little jewels — many of which you probably never even heard of! We’ve curated a collection of that are worthy of your travel bucket list. From little island nations in remote regions of the South Pacific, to teensy sovereign states in the middle of Europe, near places we know so well, to small countries carved out by ancient rulers, they are diminutive in size, but big in beauty. Consider a tiny beautiful escape to a pristine coral atoll. Revel in histories you never knew happened at UNESCO World Heritage Sites. Explore unique land masses and pockets of biodiversity. Enjoy natural landscapes that will take your breath away. When it comes to pairing Austria and Italy, the normal criss-cross of travel exists between Austria’s Tirol region and Italy’s South Tirol region – an autonomous region of northern Italy that nestles just below it, with a majority German-speaking population. 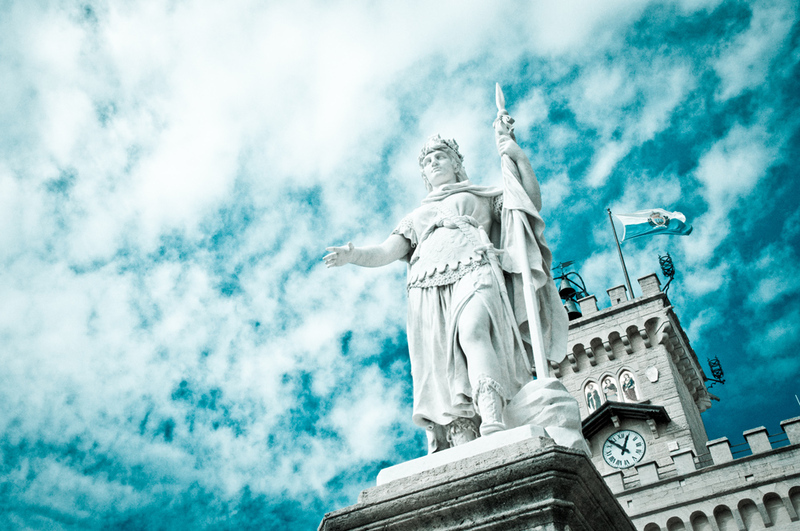 With travel in Europe being accessible via overland options, there’s no reason not to travel further than the regions of Austria and Italy that border one other. In the summer, I combined the northern Italian region of Emilia Romagna with the Achensee region of Tirol in Austria – connected by a very scenic train journey of less than seven hours that weaved north through Italy and western Austria. There are still some places left relatively untouched in Europe, perfect for a holiday off the beaten track. Often overlooked by its Central European counterparts, Slovenia — a small, welcoming country bordering Italy, Austria, Hungary, and Croatia — is starting to grab Europhiles’ attention. It offers plenty of diversity, from stunning Adriatic beaches and snow-capped mountains to pine-forested countryside and architecturally grand cities.